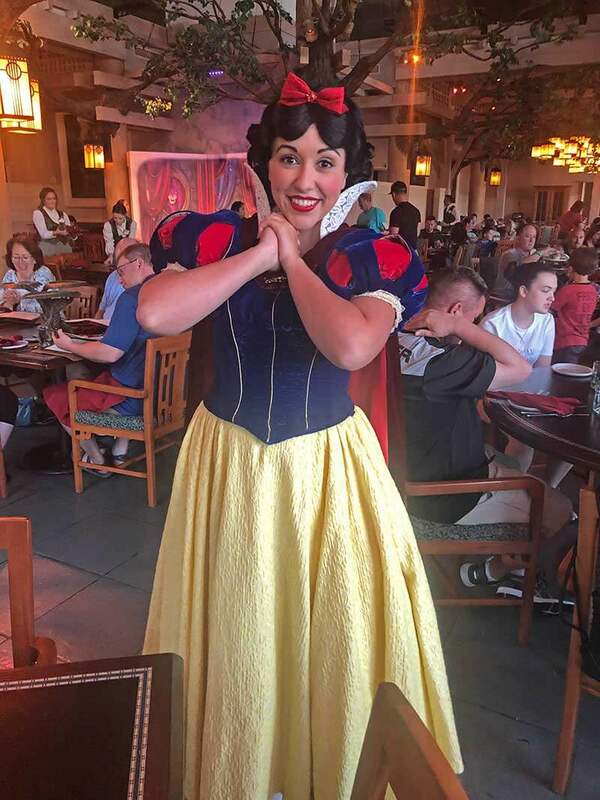 Character dining is one of the easiest ways to meet a whole host of characters and fill up for (or wind down after) a fun-filled day in the parks! 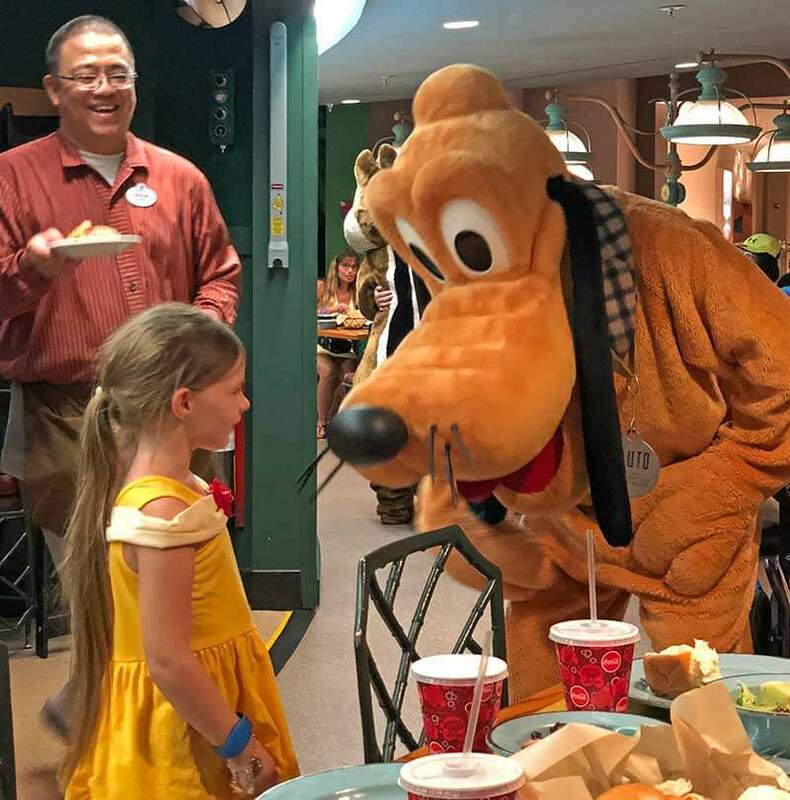 With so many characters to meet and delicious food to taste at Walt Disney World's restaurants, it can be difficult to decide on the best character dining experience for your family. 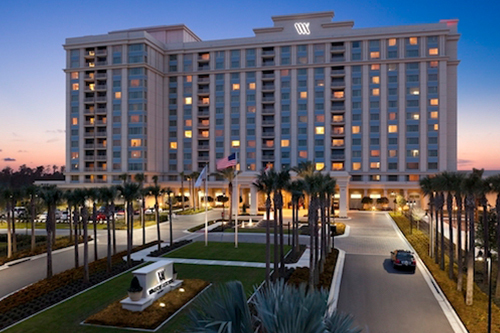 Some of Disney's best character dining takes place at Disney's resort hotels. 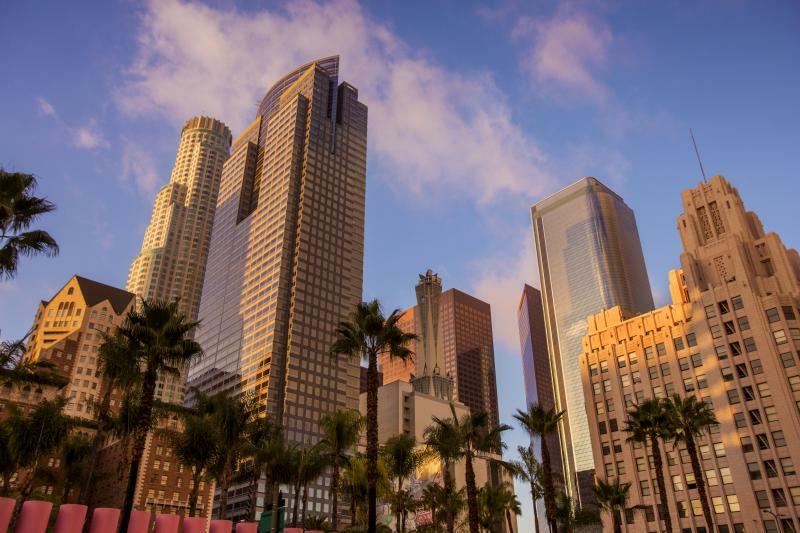 While you don't have to be staying at the hotel to partake in a character meal, it's another good reason to stay on-site (be sure to book with us for discounts!). When it comes to deciding on Disney World character dining, we're hoppy to remove the guess work! We’ve ranked all of the restaurants offering character dining based on the characters (of course! ), food and atmosphere to help you choose the best fit for your family vacation. Note: The characters listed are the characters that generally appear at these dining locations. They are subject to change. There may be more or less, or even different characters during your visit. Located in the Harambe Village of Africa in Disney’s Animal Kingdom, Tusker House adds vibrant flavors and fun to your Disney day! Meet Mickey, Goofy, Daisy and Donald in their safari gear throughout the day as they greet your table and lead a joyful dance party around the dining room. Adventurous eaters can explore the buffet of African flavors in addition to American classics such as Mickey waffles and bacon for breakfast, and macaroni and cheese or roasted chicken for lunch and dinner. We love heading straight to Kilimanjaro Safaris when the park opens in the morning before settling in at Tusker House for a hearty breakfast! The Jungle Juice is a delicious and refreshing treat. We chose Tusker House for our number one character dining location because there is something for everyone on the buffet, the food is delicious and you get to dance and sing with classic Disney characters, including Mickey Mouse himself! Tusker House serves breakfast, lunch and dinner with character meet-and-greets at all three meals. Chip 'n' Dale, Pluto and Mickey, clad in his farmer’s overalls, meet and play with guests as they dine. Every time we visit, Lily and Tad love posing with Pluto and playing with Chip and Dale! (By the way, do you know how to tell Chip and Dale apart? It's easy. Chip has a black nose, like a chocolate chip! Dale's nose is red.) We never feel rushed with the characters here. The Garden Grill is open with characters for breakfast, lunch and dinner. Akershus is the ultimate princess party, located in Epcot's Norway pavilion, which is now home to Royal Summerhus and Frozen Ever After. The dining room is set in a medieval castle with a buffet feast fit for royalty! Our little princess, Lily, loves meeting her favorite princesses. After meeting Belle in her beautiful yellow ballgown, Snow White, Aurora (Sleeping Beauty), Ariel, Mulan, Jasmine and Cinderella are on rotation, ready to mingle and march. (Elsa and Anna do not appear at Akershus, but you can find them greeting guests nearby at Royal Summerhus.) You’ll find familiar fare at the banquet tables, along with some Norwegian delights such as the breakfast smorgasbord (Leap loves the hashbrowns!) or the traditional Norwegian meatballs at lunch and dinner. 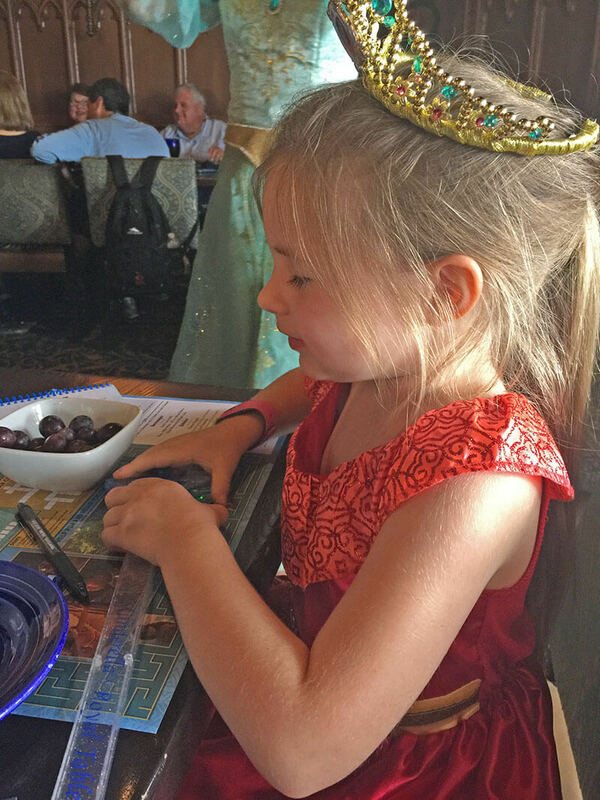 It’s impossible not to feel like royalty as we dine at Akershus, and I love seeing the smile on Lily’s face as she gets to visit with her favorite princesses. 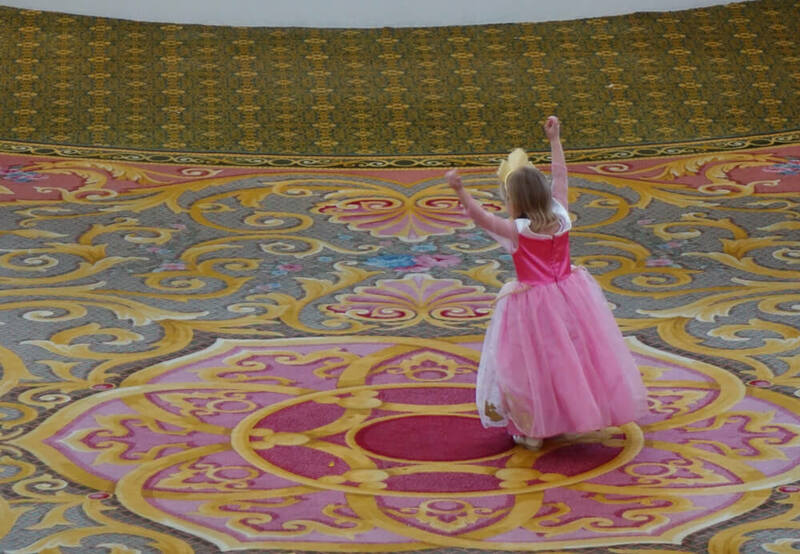 Tadpoles also get to participate in a princess processional, dancing and waving alongside their favorite characters! Akershus is a great alternative to Cinderella's Royal Table if you aren't able to get that coveted reservation. When it comes to Disney, nothing says "dream come true" like dinner at Cinderella’s Royal Table in the heart of the Magic Kingdom, inside of Cinderella Castle. You’re greeted by Cinderella herself as you enter the castle and ascend the spiral staircase (or take the gilded elevator) to the banquet hall above. At Cinderella's Royal Table, you can look out the castle windows overlooking Fantasyland and visit with princesses such as Ariel, Aurora, Jasmine and Snow White as you enjoy gourmet dishes such as braised pork shank with rainbow carrots or beef and shrimp with fingerling potatoes. The food is exquisite, but the real showstoppers are the desserts! 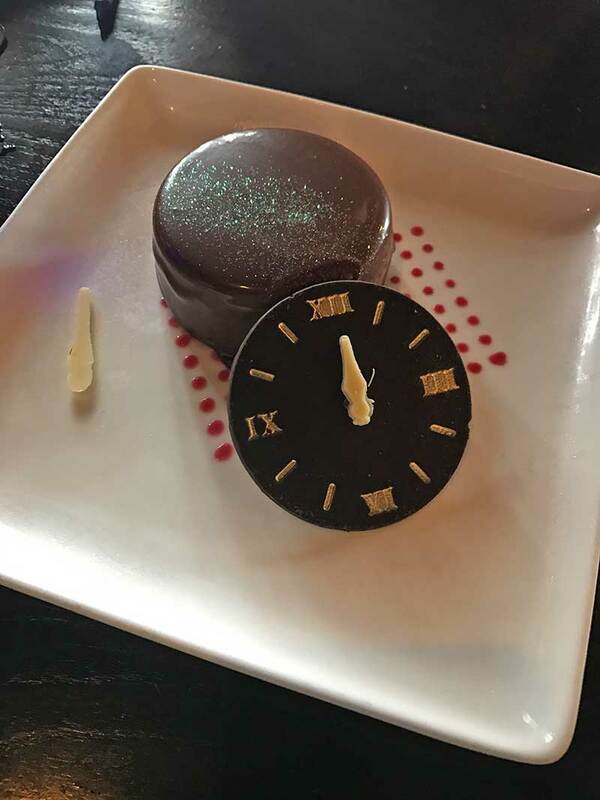 Try the “Clock Strikes Twelve," dark chocolate mousse with a dark chocolate ganache served with a raspberry coulis, or Jaq & Gus, amaretto cheesecake with an almond crust, macerated peaches and hibiscus meringue to please even the tiniest tummies. Princesses are also given a magic wand to take home with them, while princes are given a small souvenir sword. To make things a little extra magical, tadpoles are given a wishing star and are prompted to literally wish upon their star with a wave of their wand or sword. Lily has kept her wishing star for years! Cinderella's Royal Table is available for breakfast, lunch and dinner. If you're lucky enough to be dining during Happily Ever After, you'll get a spectacular view of the fireworks with the lights turned down and the music piped in! This is one of the toughest places to get a table in all the land, so make sure to book this Advance Dining Reservation early — preferably a full 180 days ahead! 1900 Park Fare at Disney's Grand Floridian Resort & Spa offers a delightfully different experience for every time of day. At the Supercalifragilistic Breakfast, enjoy a buffet of made-to-order omelets, carved ham, and of course, Mickey waffles. Cheery characters such as Mary Poppins, Alice, the Mad Hatter, Tigger and Winnie the Pooh stop by to say good morning! In the afternoon, the venue is host to the Wonderland Tea Party, where kids snack on children’s tea (apple juice) and cupcakes that they get to decorate themselves, as well as some other tasty teatime treats. During the hour-long tea break, our favorite tea-loving characters, usually Alice and the Mad Hatter, entertain their guests with stories and crafts. For reservations to the Wonderland Tea Party, please call (407) WDW-DINE or (407) 939-3463. Royal princesses also have the option of partaking in tea in the Grand Floridian's tea room on select mornings with Rose Petal, a magical rose from Aurora's garden, and sometimes even Aurora herself! At Cinderella’s Happily Ever After Dinner, mealtime is a truly regal affair as each family is welcomed as the honored guests of Cinderella and Prince Charming. Cinderella, Prince Charming, Lady Tremaine, Anastasia and Drizella are usually in attendance, greeting guests as they dine on a buffet of international salads, meats, seafood and sides. There are also plenty of American staples such as macaroni and cheese, cheese pizza and chicken tenders for the tadpoles. No matter what time you dine, be sure to keep an eye (and ear) out for “Big Bertha,” a turn-of-the-century organ crafted in France that plays while you eat, setting the mood for a whimsical meal at 1900 Park Fare. 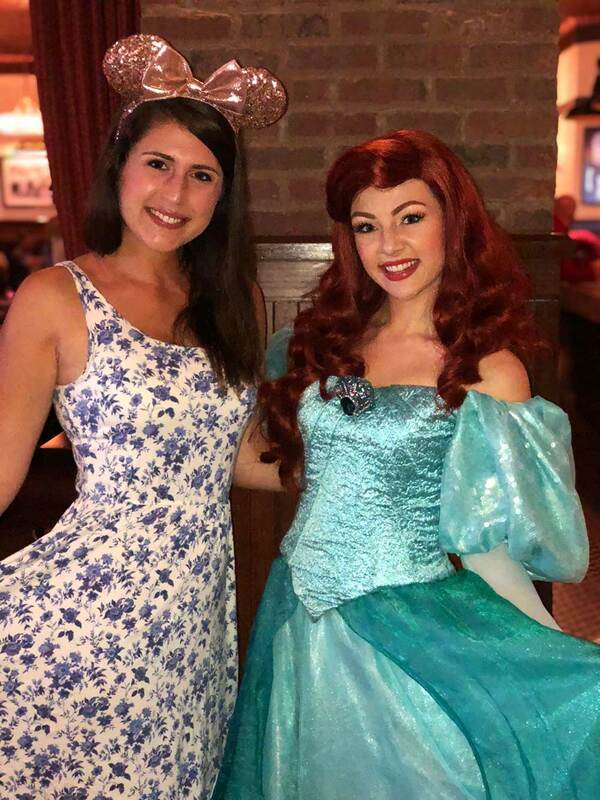 Located at Disney's Boardwalk (one of our favorite areas on Disney property), Trattoria al Forno is home to a breakfast celebration featuring some of Lily's and my royal favorites: Rapunzel, Flynn Rider, Ariel and Prince Eric. Each are welcomed with a royal entrance and individually make their way to your table. 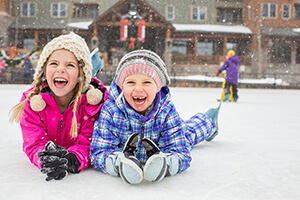 Brief, interactive activities are planned for little ones, as well! The Bon Voyage Adventure Breakfast offers some of the most delectable breakfast items out of any character meal offered. The prix fixe menu starts with pastries for the table and an individual fruit starter before ordering your entrees. King Triton's Shipwreck al Forno is a must-try breakfast calzone that has quickly become one of my top three favorite meals at Disney World. Exquisite drinks are available as well ... if you're a Bloody Mary fan, the Caprese Bloody Mary is out of this world! Heigh-ho, it's off to Disney's Wilderness Lodge Resort we go for a character dinner featuring Snow White, Dopey, Grumpy and even the Evil Queen! Choose your entrée from a prix fixe menu, including Royal Prime Rib Roast, Brother’s Grimm Roasted Chicken or a vegetarian option — A Stroll Through Nature — featuring butternut squash, arugula and gnocchi. Rounding off the menu are cocktails, mocktails, beer and wine from Oregon and Washington state, as well as some sinfully delicious desserts such as Fairy Tale Gooseberry Pie and of course, a “Poison” Apple. Dinner runs $35.00 - $59.99 per person. Disney's newest character dining location is notable not only because of its delicious eats, but also because of its atmosphere. Guests dine in a rustic, Enchanted Forest to mimic the iconic movie. One of the best character dining restaurants for the littlest tadpoles is Hollywood & Vine at Disney’s Hollywood Studios. 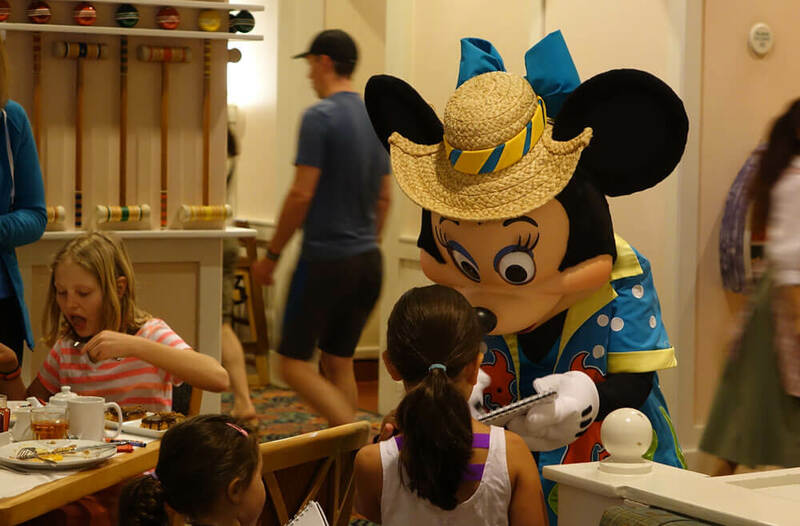 Hosting the Disney Junior Play ‘n Dine for breakfast satisfies the entire family with a hearty buffet. 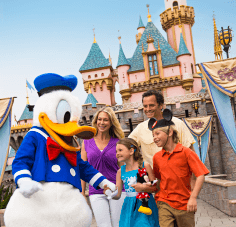 Disney Junior favorites such as Doc McStuffins, Sofia the First, Jake and the Never Land Pirates, Vampirina and Roadster Goofy interact with the little ones. Breakfast features waffles, frittatas and fresh fruit. During lunch and dinnertime, Minnie Mouse and her friends host seasonal dinners with tastes and festivities to reflect the season. Character guests usually include Minnie, Mickey, Donald, Daisy and Goofy in their best seasonal outfits, of course. Minnie’s Seasonal Dining is also eligible for the Fantasmic! Dinner Package. With the dinner package, guests can dine at one of the three participating restaurants (The Hollywood Brown Derby, Mama Melrose’s Ristorante Italiano, or Hollywood & Vine) before heading over to reserved VIP seats for Fantasmic!, the park’s nighttime spectacular. 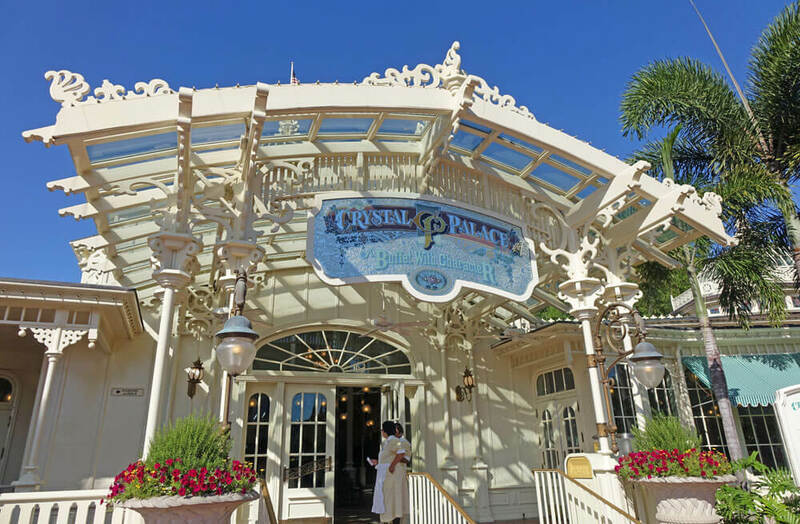 Another great restaurant for the little ones is The Crystal Palace, nestled beside the hub in Magic Kingdom. The open, Victorian-style setting is a bright and verdant backdrop for meeting friends from Winnie the Pooh, including Tigger, Eeyore, Piglet and the willy, nilly, silly ole bear himself, Pooh. The restaurant serves breakfast, lunch and dinner, with Pooh and friends present at all three buffet-style meals. The food is classic fare such as fruit, pastries and omelets for breakfast, and carved meats, soups, breads, fish and vegetables at lunch and dinner. Be aware of the timing here. If you are finishing your meal around the same time a parade or fireworks display is ending, it can get a little crowded as you try to make your way back out into the park. Dynamic duo Lilo and Stitch, along with other classic Disney characters such as Mickey and Pluto, join guests for the Best Friends Breakfast at Disney’s Polynesian Village Resort. Breakfast is standard fare of scrambled eggs, fried potatoes, sausage, bacon and fruit served 'ohana style. If you’re looking for a Polynesian-inspired breakfast, head over to Kona. The real allure of ‘Ohana is at dinnertime. No traditional Disney characters appear during dinner, but the evening meal is certainly not lacking in fun as entertainers sing, tell stories and invite guests to join them for games and dancing. The dinner menu at ‘Ohana features our favorite pineapple-coconut bread, followed by salad, pork dumplings, honey-coriander chicken wings, meat skewers, noodles and vegetables, finished with ‘Ohana’s specialty, bread pudding a la mode with bananas-caramel sauce. With the right timing, dinner at ‘Ohana also provides a spectacular view of the Magic Kingdom fireworks. 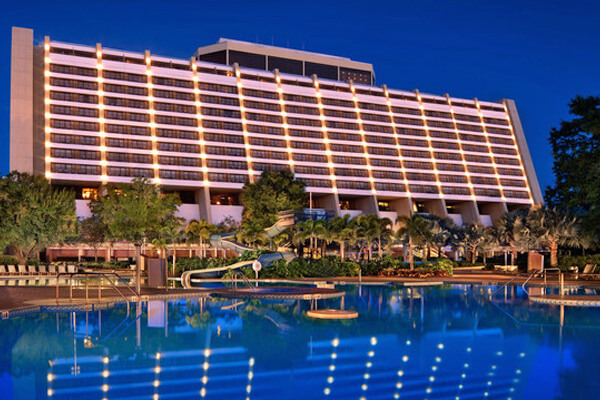 Disney's Contemporary Resort offers a classic buffet-style restaurant serving breakfast, brunch and dinner. At Chef Mickey’s Fun Time Buffet, the Fab Five, Mickey, Minnie, Donald, Pluto and Goofy join guests for their meals. 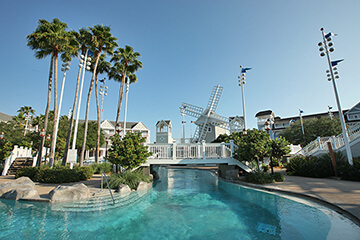 The restaurant overlooks Bay Lake, as well as the 90-foot high mural by Mary Blair that has become an icon of the Contemporary Resort. The enormous buffet offers a variety of dishes at every meal. For breakfast, enjoy fresh fruit, cereals and oatmeal, breakfast potatoes, sausage, pancakes and other breakfast favorites. Brunch adds soup, salads and seafood to the breakfast offerings. At dinner, choose from a carving station, pasta, seafood paella and a smorgasbord of sides and desserts. With so many options, this is a great choice for groups with diverse palates as well as picky eaters. Chef Mickey’s is a crowd-pleaser with a few surprises. Minnie Mouse loves to throw a beach bash! Minnie’s Beach Bash Breakfast at Disney's Beach Club Resort gathers Minnie and her BFF Daisy in their beachy best to start the day sunny side up. Breakfast includes a mix of items from sliced deli meats and cheeses to bagels, scrambled eggs, seasonal fruits and veggies and cereals. This is a relaxed, casual dining experience and perfect if you're staying at one of the Epcot-area resort hotels, but it offers fewer characters than some of other character breakfasts, so it's lower on our list. The Four Seasons also hosts a Good Morning Breakfast with Goofy and His Pals, as does the Garden Grove at the Swan Hotel. However, since these are not exactly official Disney Resorts, they were not included in this ranking. 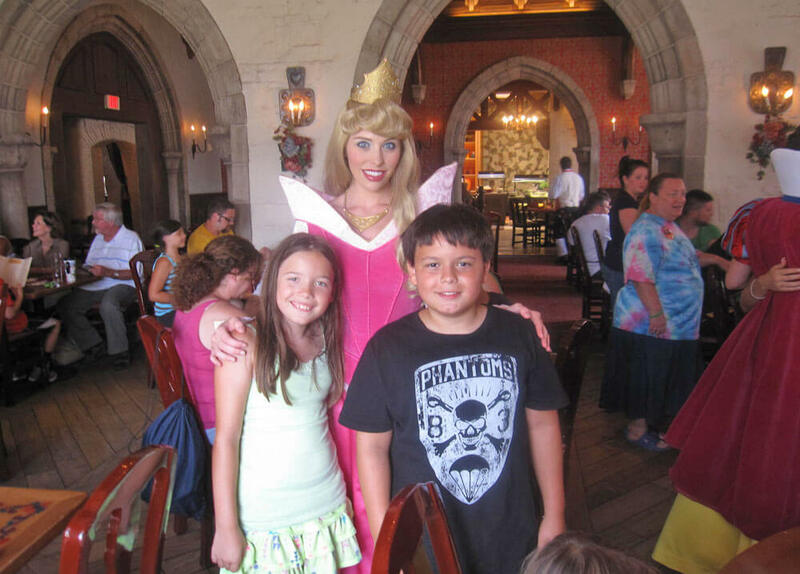 With so many character dining locations, you're sure to find at least one that will make the whole family happy. These are our picks for the best Disney World character dining. What are your favorites? Share in comments below! Be Our Guest Restaurant- another popular one and is it true that Belle is NOT there and BEAST is only found at Dinner? / Cinderella’s Royal Table - is the only way to Call for RSVP? / Thank you for this useful info!!!! That's correct; dinner is the only time that you can meet the Beast and Belle is not there. For Cinderella's Royal Table, you can also make a reservation using My Disney Experience. 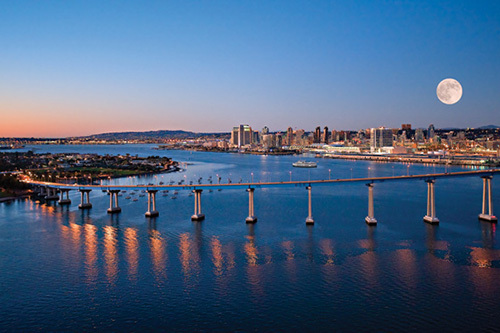 You're able to start making reservations up to 180 days in advance, and we recommend doing it as soon as possible as these book up quickly. Hello! I made a reservation for everyone over the age of 3, do you happen to know if a child is under 2 if they need to be included in the count? We recommend including the littles in the reservation so that the right amount of chairs/high chairs can be included in your seating arrangement. 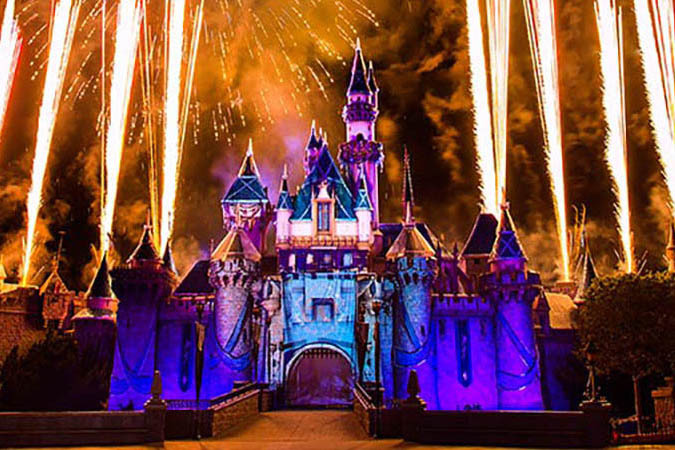 Is there a way to see fireworks without being in the park? There are several. At Magic Kingdom specifically, two places we can think of to watch the fireworks are at Trader Sam's at the Polynesian Village Resort, and on the beach at Fort Wilderness. Both places pipe in the music to accompany the fireworks, as well. Frog Pond, where are your other favorite fireworks viewing areas outside of the parks? Hello! We are heading to WDW in early April. My son's 6th birthday is on April 6th and we will be at Animal Kingdom that day. I would like to plan a special birthday dinner...any suggestions? Also, can we get birthday buttons at any park or only Magic Kingdom? TIA! Hoppy birthday to your tadpole! Birthday buttons are available at Guest Relations at any of the parks - so you'll still be able to grab one at Animal Kingdom! 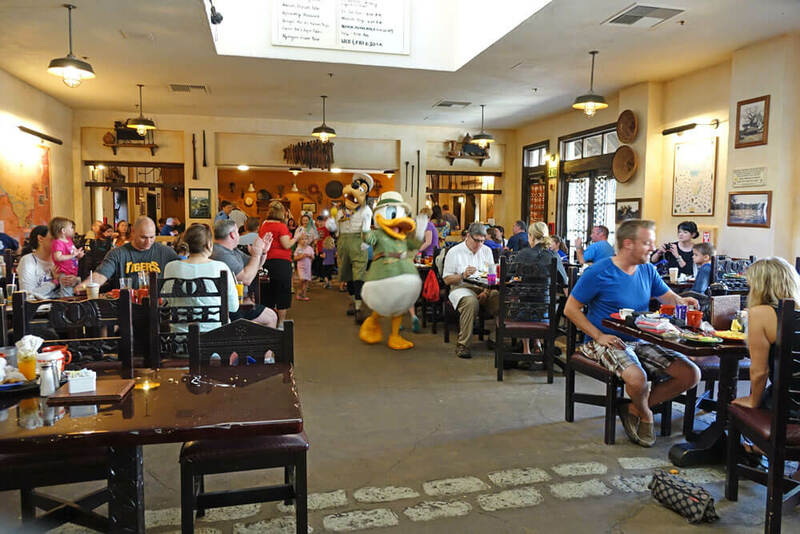 Tusker House is a great option - it's got a delicious dinner buffet with something for even the pickiest of eaters, AND you'll get a visit from Safari Donald, Daisy and Mickey. Make sure to note his birthday when making your dining reservation and when you check in - you may get a little something special during your dinner to celebrate! 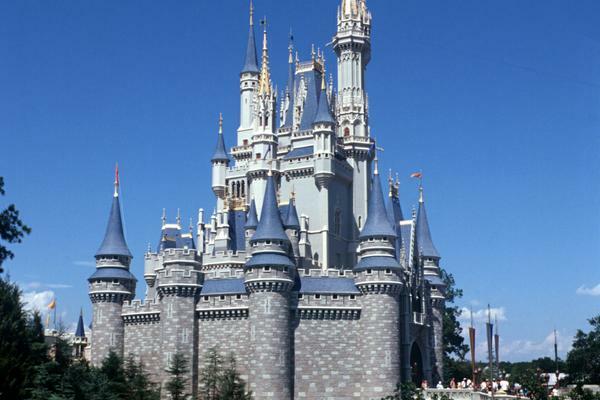 Hello!, I will be in Disney for the weekend of the 12th of April taking my children 6 and 12 yr olds, I wanted to know how much does the breakfast buffet at the crystal palace go for? This can vary depending on the time of year, so Disney lists this as a range on their website ($35-$59.99 per adult). In our experience, you can expect to spend around $38 per adult and $23 per child (3-9) for the breakfast buffet, plus tax and gratuity. Based on recommendations I'd like to try the crystal palace in April. Our twin girls will be 2-1/2 years old. Do you know if there are any special meal discounts for kids under 3 (which are free to enter the park). What is the price structure in general. Based on age??? We are staying in Orlando but not doing Disney. I did make reservations for cape May and chef Mickey. Will it be difficult for us to drive in and park at the resort to eat? I want the main Mickey characters and I can't decide between Chef Mickey or Hollywood & Vine. Are the VIP seats to Fastasmic worth it? I assume that is an extra cost? Great question. The VIP seats to Fantasmic aren't at an outright extra cost, as they are included with your dining package at Hollywood and Vine, but the cost for your dining experience will be slightly higher than it would be at Chef Mickey's ($46 per person at Hollywood and Vine vs. $35 per person at Chef Mickey's). My kids are big Disney Junior fans, so I made a reservation at Hollywood and Vine for the play and dine breakfast. Are the Disney Junior characters at lunch as well? I’m finding conflicting info online. Lunch would be preferable for us. Help! Hoppy to help! It looks like the Disney Junior characters are only around for breakfast, while it's the fab 5 (Mickey, Minnie, Donald, Pluto and Goofy) for lunch and dinner. If lunch is better for you, you could change your reservations to lunch and meet Mickey and Minnie and the gang, then visit Animation Courtyard (also in Hollywood Studios) for some Disney Junior meet-and-greets and a dance party! Hello! Do they have Disney photographers' at Chef Mickey's restaurant? It looks like Chef Mickey's opens around 7 a.m. each morning (giving you plenty of time to try to make rope drop)! Chef Mickey's is located in the Contemporary Resort, next to Magic Kingdom. 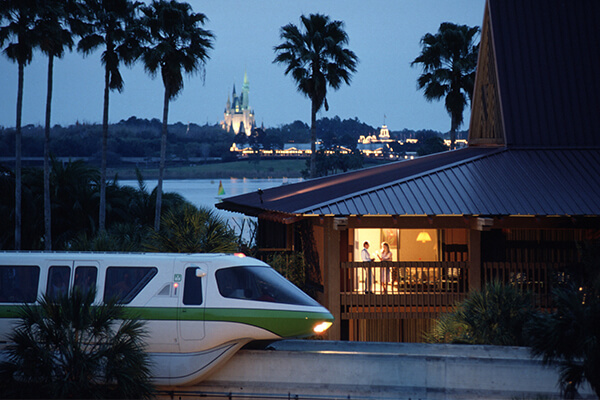 You can get there by monorail or by a walkway from Magic Kingdom (about a half a mile). Do you have to stay at the resort to do the Chef Mickey or any of the other early dining places? Happy birthday to your tadpoles! How fun to have a big birthday trip :) If you head to City Hall on Main Street U.S.A. when you enter Magic Kingdom, they'll receive a free birthday button (and will get lots and lots of birthday wishes throughout the day from Cast Members and characters!) We hope you have a magical trip! Is there a place outside of Disney parks to see Sofia the First? 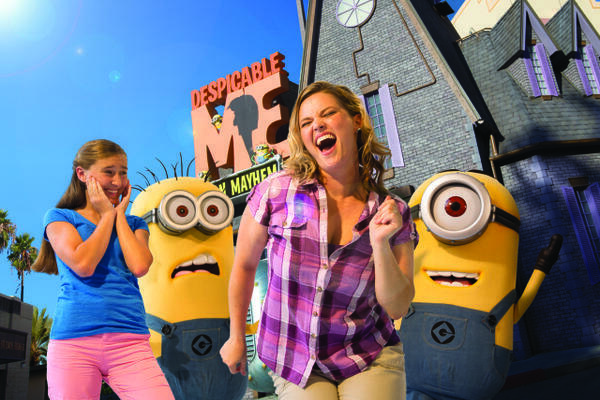 Unfortunately not :( If you're a Sofia the First (or Disney Junior) fan, Disney's Hollywood Studios is your best bet. At the last minute, we are going to Florida the week of thanksgiving. We are planning to spend only one day at Disney world. We are having a hard time finding a character dining experience at the\is late time. Any advice? The booking window opens each day at 7AM EST, so be sure to check for reservations in the app early ... and continue looking even up to the day of your visit. Lots of people may cancel last minute. Check as much as you can - you never know when something may open up! Are the characters available at all meal times at Akershus and Hollywood and Vine. Which meal is better to do at each place? Princesses meet and greet during ALL meals at Akershus, and we love them all. Hollywood and Vine hosts Disney Junior characters for breakfast and lunch, and the classics (Mickey, Minnie, Goofy, etc.) for dinner. Are there any character breakfast that have a Christmas theme? We live in the Orlando area so wanted to do something with the grandkids Christmas themed without going into the busy parks any suggestions? We can't think of any Christmas-themed character meals that aren't inside of the parks. However, Chef Mickey's at the Contemporary is always one of our favorites, and you can check out the hotel's gorgeous gingerbread display! We are taking our 4-year old daughter to Orlando first week of November and want to take her for a meal with princess characters like Elena of Avalor. Do you have any recommendations? Unfortunately Cinderella’s Royal table aren’t available. We have a 16 party family vacation scheduled for August 31, 2018 through September 3, 2018, staying at the Cars Hotel. What is the best character breakfast for those NOT purchasing park tickets. We all live in the Orlando area and have visited all of the parks many times. This trip is just fun Disney themed get-a-way without the parks. Thank you. OMG - Sounds like so much fun. Chef Mickey's has always been our favorite character breakfast ... it's a blast! If your group is interested in princesses, the Bon Voyage Breakfast with Tangled and Little Mermaid characters has some of the best food we've ever had on Disney property. Since these are located at resorts, they don't require park admission. The characters stayed the same from last year, so we would expect them to still be there next year! This is always subject to change, though. We are taking our 4-year old daughter to Orlando next week and want to take her for a meal with princess characters like Elsa and Anna. Do you have any recommendations? We are not planning on going into any of the Disney parks. Unfortunately, Anna and Elsa do not meet for any character meals. You can find them meeting and greeting in Epcot, which would require a park ticket. Do all the character meals do something special for Birthdays? I know at Chef Mickey's you get a cupcake but not sure on the others. We have had a cupcake come out at all character meals where we have celebrated birthdays. Hi! You spoke so highly of the Bon Voyage Adventure Breakfast but it’s ranked last... is there a reason? The only reason it is ranked lower is because it's more specific in terms of characters. If you or your littles ones aren't huge Little Mermaid or Tangled fans, it might not be the best fit. It's so hard to rank these experiences since they're all so great, but we toad-ally recommend Bon Voyage! My mouth is watering just thinking about it! Does Ohana definitely have Mickey? They don't advertise it. Do you know of any other character dining options that feature Mickey (not listed above). Thanks! Lilo and Stitch are joined by a variety of Disney pals - this could be Mickey, Minnie, Goofy, Pluto or a few others. It's always a fun surprise! Animal kingdom lodge , at what time can we pass by to be able to see the animals ? Sounds like you're going to have a great trip. You can absolutely eat at Animal Kingdom Lodge even if you're not staying there. Animals are always grazing around the savanna and you can check them out from the balcony anytime. Our favorite character meal is Chef Mickey's at the Contemporary Resort. You can watch fireworks from the fourth floor balcony afterwards! Hello, what time are the fireworks? The fireworks timing depends on the night. You can always check the daily schedule or times guide upon arriving at the park. We’re located just north of Derby city centre in the historic Cathedral Quarter, a ten minute walk from the main shopping area and a four minute taxi ride from the train station. Hi guys, thanks for all your great tips. We have booked Cinderella's Royal Table for a 9.10 breakfast on 7th April 2018 for my birthday. We are staying off site and was wondering what time should We get to Magic Kingdom for to allow time for bag check and entry Into the park? We have never done CRT before & are very excited already. That's great! We love Cinderella's Royal Table. We recommend arriving at the park 30-45 minutes before the posted opening time. Are there any hotel character breakfasts that Minnie appears at? I want to take my daughter who will be turning two but do not want to go to the park. What is the best route you suggest? Minnie appears at Chef Mickey's at Disney's Contemporary Resort Hotel. Have fun! Minnie appears at Chef Mickey's at Disney's Contemporary Resort Hotel. Hop over to Disney's site to read about Cinderella's Royal Table prices and menu. You may book reservations on the site too! If you're visiting the Magic Kingdom during an Early Entry day, the restaurants will take reservations during that hour. I was just wondering if I had to be staying at the grand Floridian hotel to be able to have breakfast at their restaurant. My friend loves Winnie the pooh and I want to make our trip even more magical with a character dinner. You do not need to be a staying at a hotel in order to enjoy a character breakfast there. Enjoy! Hi there. I found this post very useful. We will be going to DW in April 2018. I've been told by many that doing the safari first thing in the morning at Animal Kingdom is a must. If we plan on doing that, what time do you recommend making our breakfast reservation at Tusker House? We recommend arriving at the park 45 minutes before the park opens and experiencing Kilimanjaro Safaris first. Make Tusker House reservations for 45/60 after the park's opening time. That should give you time to walk to the attraction, see it, then get ready for breakfast. 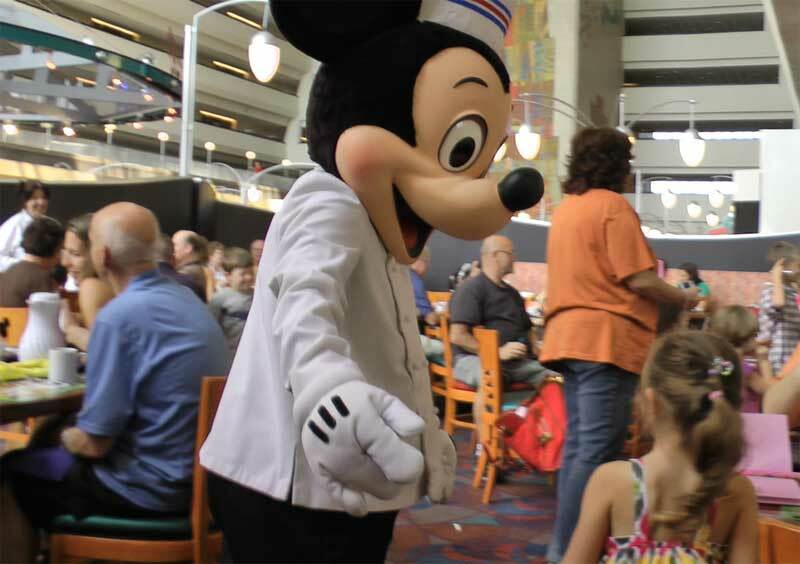 The best character dining for your kids depends on who they want to meet. For Mickey and pals, Chef Mickey's at the Contemporary Hotel is great. Princesses? Cinderella's Royal Table. Tusker House is our favorite. Lilo and Stitch meet at Ohana Family Breakfast at the Polynesian Hotel. It really depends on who they want to meet. The easiest one to get to really depends on where you are. If you don't want to enter a park, consider Chef Mickey's at Disney's Contemporary Hotel or Ohana's Best Friends Breakfast at Disney's Polynesian Resort. You can have breakfast with the princesses at Akershus Royal Banquet Hall (Epcot) and Cinderella's Royal Table (Magic Kingdom Park). 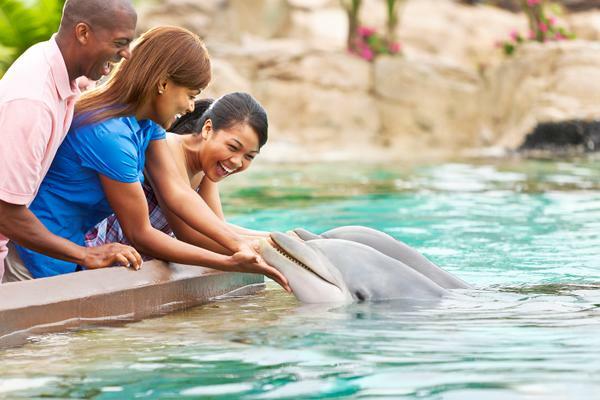 You can book up to 180 days in advance of your trip, which we highly recommend doing so! Hi! We are planning to visit Disney in October 2017, but are not sure where to go for a character breakfast? We are not staying in a Disney resort. Most of the restaurants listed on this post are in the parks, and many of them have breakfast, as well. For instance, Tusker House at Disney's Animal Kingdom has character breakfast and so does The Crystal Palace at Magic Kingdom Park. 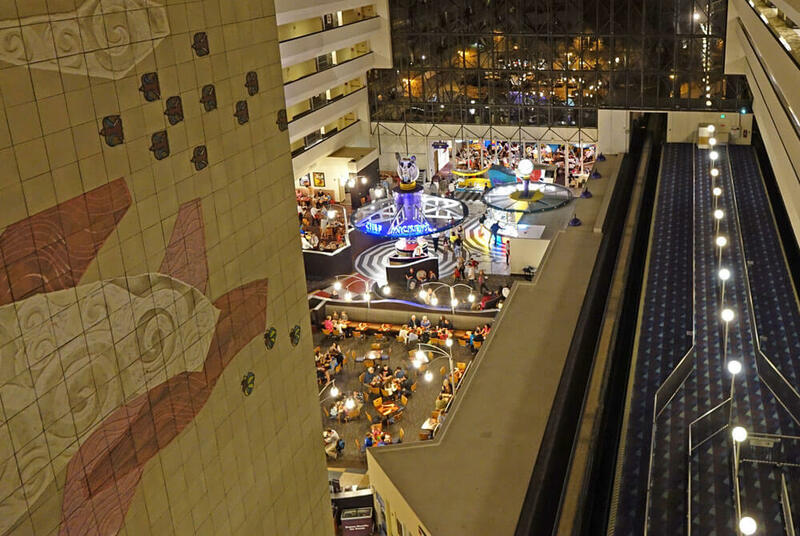 You also don't need to be staying on-site at a Disney hotel to enjoy their restaurants! Have a great trip. Any word if Moana will be added to any dining options? We're thinking about going to Disney in February. Thanks! We haven't heard of Moana sailing back to Disney World. We'll keep your frog eyes open to see if she does. Are any of the character dining for October Halloween themed. None of the character dining experiences are themed during Halloween. Ohh. We forgot about those. Thanks for the reminder! We are going to be in Orlando from the 31st October for two weeks, I would love to take my children to Mickeys BBQ but we are not staying at a Disney property, are we still able to book this. You do not need to stay on Disney property in order to book Mickey's Backyard BBQ.